Community schools and City Connects are philosophically aligned programs — both help students thrive by meeting their comprehensive needs. 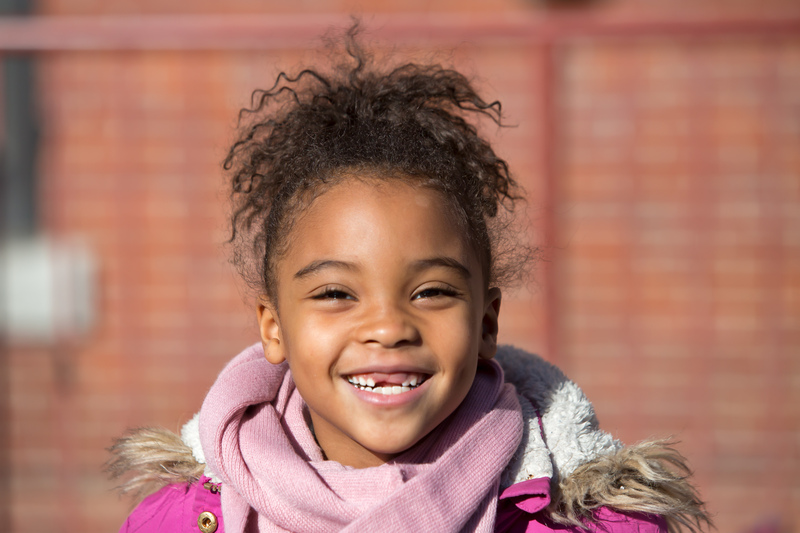 The approaches are different but also complementary, and one of the places where they’re working well together is in nine New York City schools run by the Children’s Aid Society in Harlem, Staten Island, the South Bronx, and Washington Heights. The Children’s Aid Society launched its community schools in 1992. These schools are “both a place and a set of partnerships between the school and other community resources,” the Coalition for Community Schools explains on its website. That might mean keeping a school open in the evenings to serve as a community center or bringing afterschool or health services into the school building. City Connects dovetails with this work by providing a systematic way to connect these and other school- and community-resources to the right child at the right time, over time. This work is essential in the South Bronx, which is part of Bronx County where the poverty rate is 30.7 percent, according to the Census Bureau. Many families in the South Bronx grapple with homelessness, hunger, and other challenges. Chronic absenteeism – missing more than 10 percent of school – is also a widespread problem. “Children’s Aid was trying to figure out how to engage in more data-driven decision making,” Cope explains. That’s why staff from the Children’s Aid Society traveled to the Boston College Lynch School of Education to learn about City Connects. The result was a City Connects pilot program that was launched in 2014 at Community School 61. Using the City Connects practice, coordinators in community schools conduct whole class reviews and determine each student’s needs and strengths, what resources are required, and what resources are and are not available. “Because City Connects works directly with teachers, it heightened our teacher engagement. Teachers have a place to discuss the four domains [academic, social-emotional, physical, and family] for each child in their class. And they get help linking resources to each student,” Robin Fleshman says. She is the Deputy Director of Children’s Aid’s School-Age Division in the Bronx. For teachers, this is a huge relief, Espaillat says. And Cope notes that City Connects helps teachers develop a holistic understanding of their students and, it helps them see where kids are and teach them in ways that help them grow. Customized student support is a core component of City Connects. By understanding the needs of individual students, schools have a data-driven way to identify gaps in resources, and to find or develop programs that would benefit a large number of students. At Community School 61, for example, immigrant students can join the newcomers’ group. “When we started the City Connects work” of reviewing the strengths and needs of each child, “we noticed that there were a lot of kids who had recently migrated,” Panora, the City Connects Coordinator at Community School 61, says. “We thought it was important to work with this group of kids, so we start with activities like making a family tree, and that becomes group counseling. The kids talk about how they came to this country and their feelings about who is here and who’s not.” Sometimes one parent is in the United States and the other parent is back home. Using City Connects data on children’s needs, community school coordinators find existing school and community resources to address these needs. In the Bronx, community partners provide health, dental, and vision screenings. Warby Parker gives children a free pair of eyeglasses. The nonprofit Asphalt Green helps staff manage recess. The New York Junior Tennis League provides tennis lessons. And GrowNYC runs a gardening program. In other cases, the data inspire new initiatives: Coordinators create resources to respond to students’ needs. “Because we’re in this struggling region, the community has limited resources, and we can’t always form the partnerships that we really need, so many times we’re creating programs,” Cope says. To provide badly needed tutoring services, for example, the schools have partnered with a local high school, and they’re continuing to work to develop tutoring relationships with local colleges. To battle absenteeism, there’s a walking school bus staffed by school parents. Fifteen kids currently “ride” the walking school bus, which is in a testing phase and will likely grow. To cope with waiting lists for mental health services, staff members have taken the training that’s required to supervise social work students so that these students can add to the community schools’ counseling capacity. After an after-school theater program was less successful than had been hoped, a staff person was chosen to develop a more tailored theater program that has been more successful among students and now runs during the day and in the after-school program. Early research on the effects of City Connects in the Children’s Aid community schools shows promising results. An independent research team at the Boston College Lynch School of Education studied outcomes for eight Children’s Aid community schools in the Bronx and Manhattan that are implementing City Connects; most started City Connects in the 2014-15 school year. The analyses focused on middle school grades (6-8). Researchers used publicly-available grade-level data from both the New York State and New York City Departments of Education. The analysis was done using two quasi-experimental methods: propensity score-weighted regression models and difference-in-difference analyses. Results indicated that City Connects had a significant, positive impact on grades 7 and 8 Math and on grade 6 ELA state achievement test scores, compared to similar schools in the same district that did not implement City Connects. Though the initial two years of collaboration between City Connects and Children’s Aid community schools suggest positive trends on achievement, further analyses of student-level data are needed to see whether students in these schools are experiencing the long-term positive outcomes seen for students in other City Connects schools across the public, charter, and parochial sectors. For now, the Children’s Aid Society will move forward with its City Connects partnership, using full time school-based coordinators and data to get the right services to the right children at the right time. City Connects and community schools are working together in New York to take those barriers down, and clear the path to opportunity.